The Honor View 20 currently holds the record for the most megapixels on a single-lensed camera on a smartphone, with 48MP. While that figure is certainly nothing to sneer at, it's far from the limit that will be possible with the next-generation of flagship smartphones, according to chip manufacturer Qualcomm. The company has published new information about the capabilities of its latest silicon and just how far they can be pushed. As first reported by GizChina, the following Qualcomm branded chipsets can support up to 192MP on a single camera: Snapdragon 670, 675, Snapdragon 710, 845, and Snapdragon 855. Although many flagship Android smartphones currently on the market are already capable of powering megapixel-packed rear-cameras, we have yet to see anything to top the Honor View 20. However, we might not have long to wait. Judd Heape, Qualcomm Senior Director of Product Management for Cameras, told blog MySmartPrice that "we can expect multiple brands to release phones with 64MP and even larger than 100MP cameras by the end of this year". 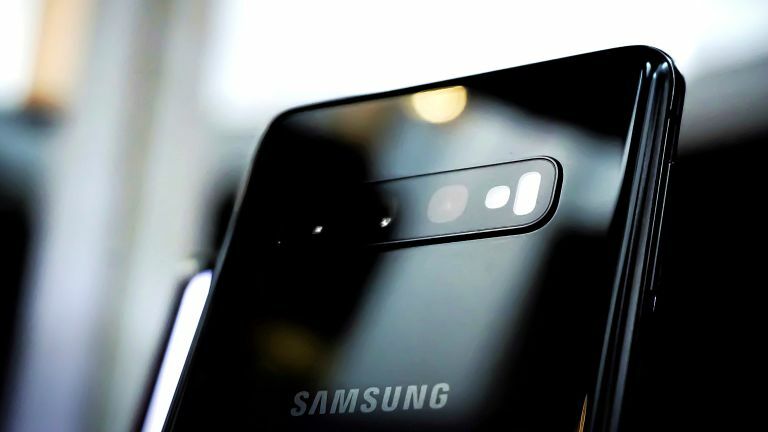 Last year, Samsung unveiled two new image sensors, dubbed Isocell Bright GM1 and Isocell Bright GD1, capable of shooting 48-megapixel and 32-megapixel images, respectively. It wouldn't be difficult to image the Seoul-based company launching a follow-up later this year that dramatically increased the megapixel count. Unlike Apple, which typically launches one flagship smartphone each year, Samsung has a number of high-end handsets in the works. It has already offered a sneak peek at the pliable Galaxy Fold, which will cost €2,000 (£1,700) when it launches on May 3 in Europe, as well as the Galaxy S10 5G, which will launch in "early summer". It also has the Galaxy Note 10 on the horizon. If Samsung follows its typical release schedule, the productivity-focused smartphone will launch sometime in August. The latest whispers from the factory floor suggest the new flagship phone will have four cameras, so it's certainly possible one of those could top Honor's 48MP record. However, Judd Heape added that he prefers devices that use larger pixels instead of a higher megapixel count to improve image quality. That's something Samsung has focused on with the previous generation of Galaxy S smartphone. That said, smartphones that boast 64MP or higher rear-cameras allow smartphone owners to crop their images and retain a high level of fidelity in the photograph – something that can help to boost digital zoom.